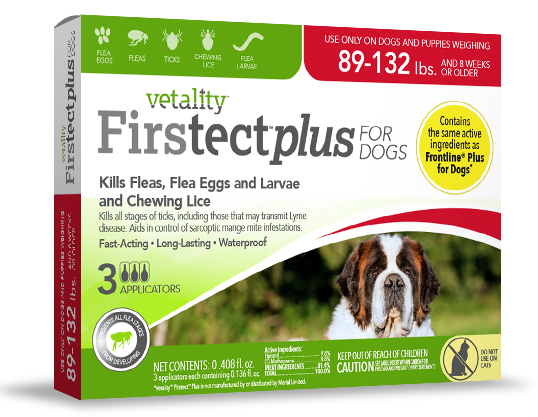 Firstect Plus For Dogs 89-132 lbs. 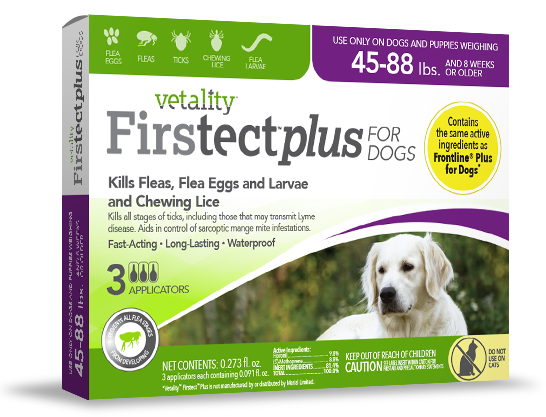 Firstect Plus For Dogs 45-88 lbs. 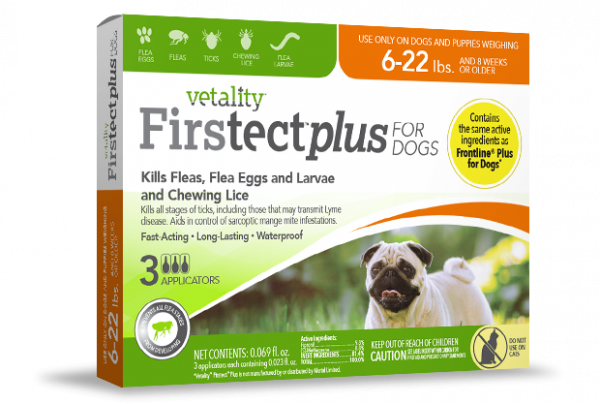 Firstect Plus For Dogs 23-44 lbs. 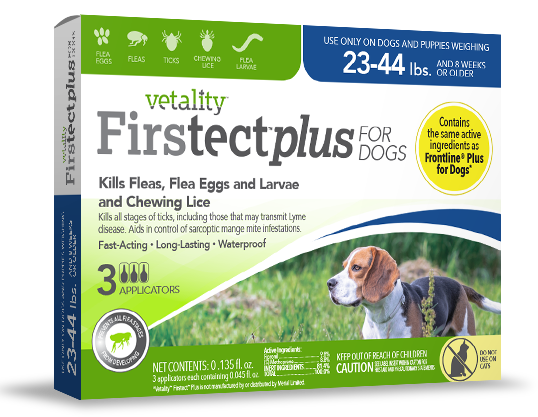 Firstect Plus For Dogs 6-22 lbs. 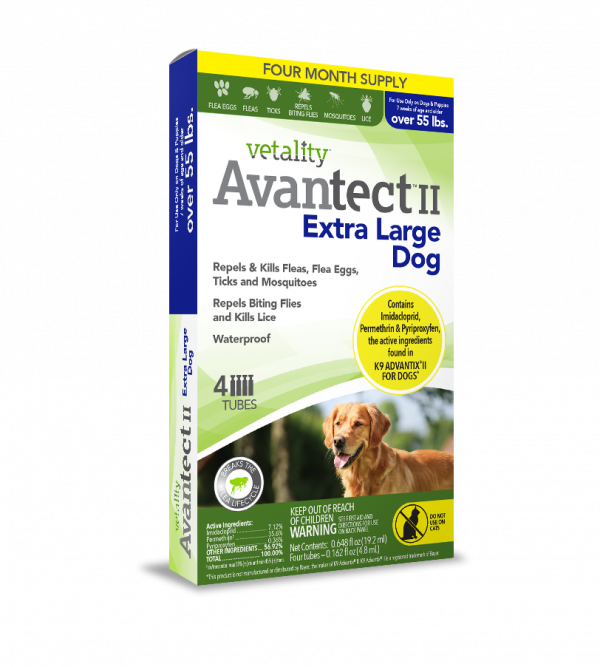 Avantect II For Extra Large Dogs over 55 lbs. 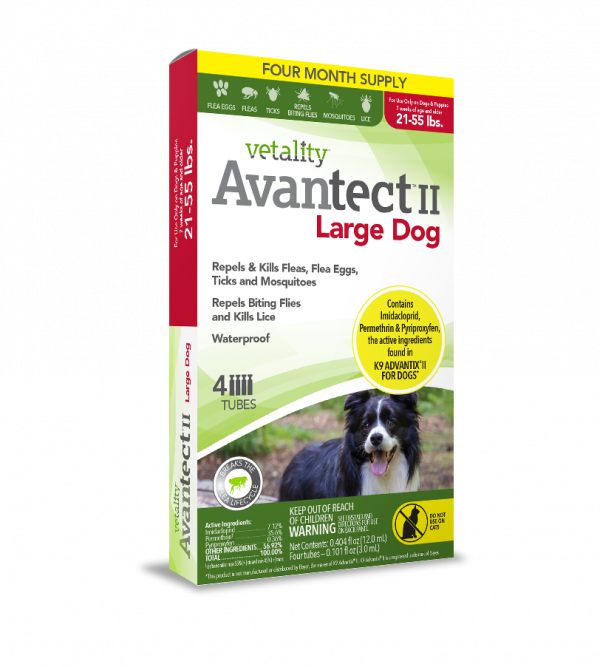 Avantect II For Large Dogs 21-55 lbs. 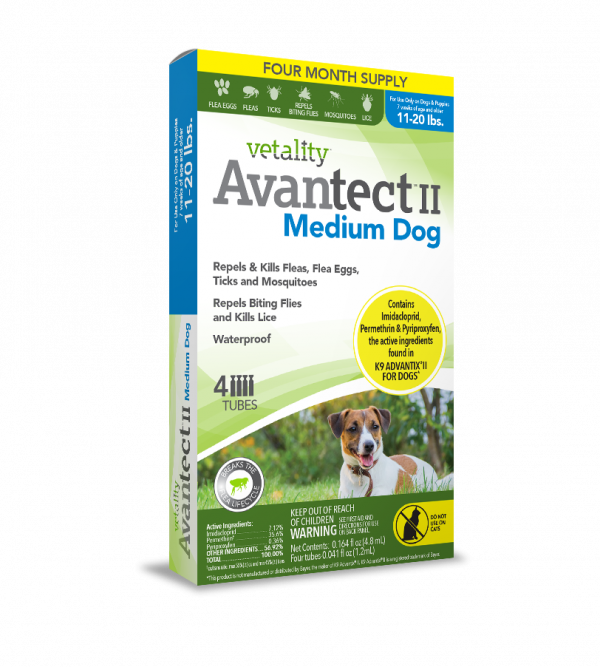 Avantect II For Medium Dogs 11-20 lbs. Avantect II For Small Dogs 4-10 lbs.